Love them both Jen but that dauber card is loads of fun! What a great post today, Jen! I absolutely LOVE your dauber balloons! I would definitely see this card as perfect for guy or girl alike, and how easy is that? (At least you make it look easy!) Of course I adore your GSD "Ruff Day" card, and I will definitely be CASEing it. The washi tape base is brilliant and a great take on the sketch this week. You should also consider entering this in the Gerda Steiner Designs "Share Your Designs" challenge (link here: https://gsd-stamps.com/blogs/share-your-designs/join-our-30th-share-your-design-challenge ) because it is fabulous!!! So glad you are enoying the set...I knew you would do amazing things with it! Have a great Saturday, Jen! No wayyyyy.....that first card is all too cool! 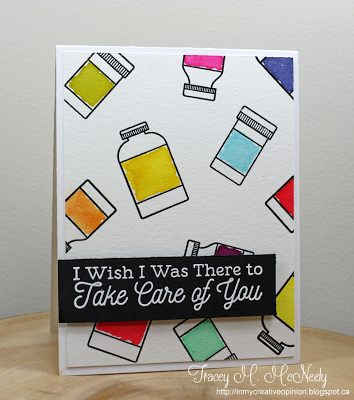 What a FUN take on Tracy'e card, this is cool Jen!! And that bulldog is too dang cute! OMG, those splats are sooooo fun! What a cool interpretation (as always!) Thanks for joining us at Muse this week. Hope you're staying warm - it went up to 54F here and we took OFF all our winter coats and washed the car! Thought of you bundled up! LOL! Well take two is beyond fabulous! And I love the sweet little doggie! Hey! you got me with those sponged splats! That is such an awesome idea, and I am going to have to CASE it for sure. Also, that poor forlorn pooch is too cute - i feel another CASE coming on. And I know just what washi tape I can use ;-). 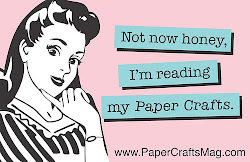 You are so right - crafty friends are the best friends. Happy weekend, Jen!! LOVE your take on the Muse card. The splashes look fab and such fun. And your pooch is adorable. LOVE the color spats on the balloons, Jen! 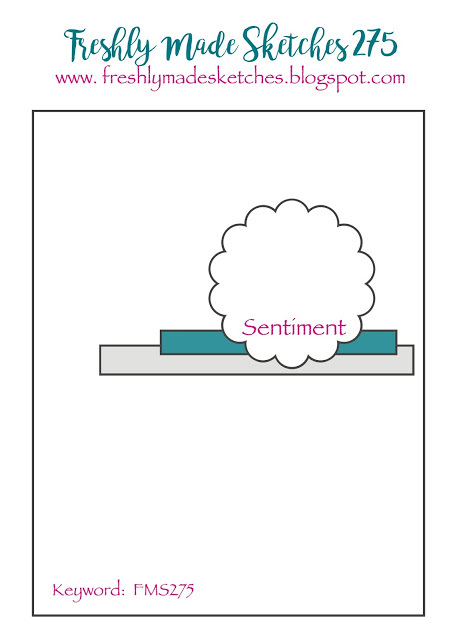 You are so right, even with pink balloons this card is gender neutral. 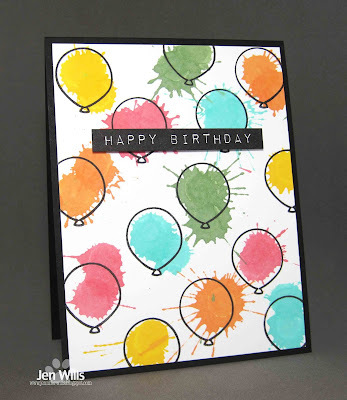 The color splats give a whimsical look to your balloons, Jen, more fun that just painted one. And that dog. He makes me smile. 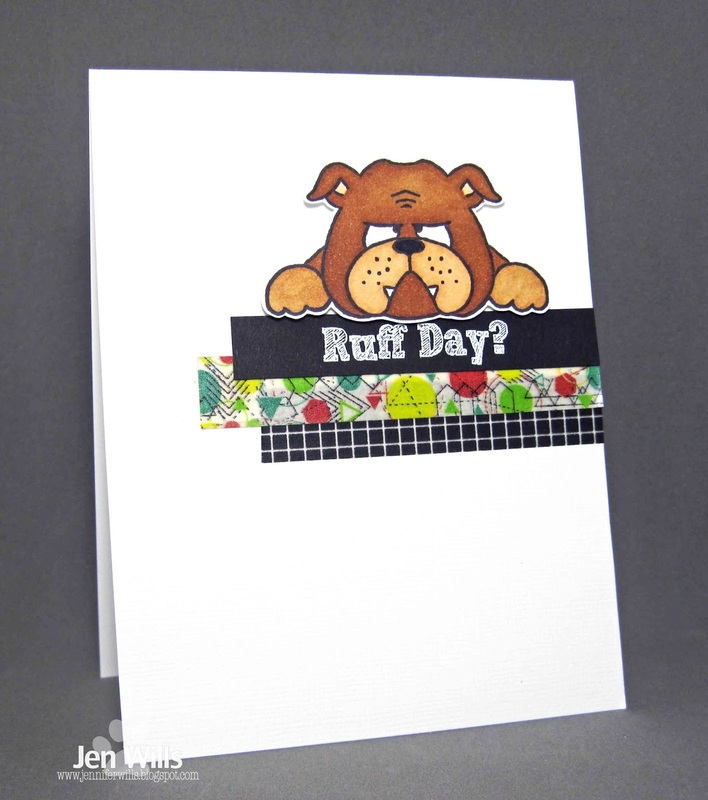 Anyone's ruff day will be over when they get this card. Great, now I want ink daubers. :P Totally fun card. What a great dawg! The washi tape is perfect. Two awesome designs Jen. Love your dauber balloon, so fun! I think the Gerda Steiner doggie is so sweet--woof! Thank you so much for sharing with us at Muse this week! This almost makes me 'need' some daubers.... looks like you had some messy fun here! Wow Jen! The splatters with the balloons scream all kinds of fun. 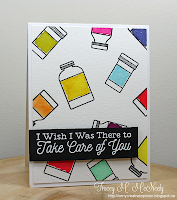 what a clever, creative way to use the daubers, Jen! great card!! That doggie face is SO perfect for a "Ruff Day". I love him hanging over the patterned strips! Thank you for playing along with us at Freshly Made Sketches. Wonderful designs! Thank you for sharing your card at ATSM! Brilliant handling of the balloons... love the card!